I would like to thank you all for responding to my request for numbers for the next two meetings. They will both be well attended. There has been no objection to holding the AGM early and have a presentation after the meeting so we are proceeding on that basis. Please note that despite the high quality of the wines we will be tasting, we have kept the door price down. This is largely possible because of Mac’s generosity in heavily subsidising the tasting wines. There are of course additional costs, eg hall charges and food etc and we have to recover these. We would ask members to carefully consider making purchases to help make it worth Mac’s while, we are sure the wines will be offered at great prices and will enhance your festive supplies with Christmas coming on so quickly. I attach a payment advice that covers both the November and December costs. It also provides a space to indicate your preferences in December. Please complete and return to Wayne by the stipulated date. John (Mac) Macpherson from Advintage will be presenting again in November. Not all sparkling but all with the festive theme. Mac is likely to be accompanied by John Kemble again so be prepared for an entertaining night. The Advintage philosophy, well at least in part. “When you’re a wine store based in the sleepy but ever-so-slightly pretentious Hawkes Bay village of Havelock North (pop. 10,000) and you ship thousands of cases of wine nationwide each month, you must be doing something right. Right? Well, we’d like to think so. In fact doing things right is all we think about. And we’ve been thinking that way since 1999 when we first embraced internet wine sales. And our humble provincial wine store changed. Forever. Marty Sharpe/Dominion Post and Stuff.co.nz recently ran an article on Advintage (10 September 2012) in the Dompost outlining the John (Mac) Macpherson and the Advintage story. It started with a fax machine and a bottle of affordable methode. There he was, John Macpherson and a group of winemaker friends, in the corrugated iron shed that went for a wine shop beside a motorbike retailer in Hastings. It was 1999. His shop, Advintage, had been open for about a year supplying wines to restaurants and bars and anyone they could attract from the street. Business was good but not booming. Then came the bottle of chilled French sparkling wine. It was a one-off in the shop fridge and Macpherson (“Mac”) wasn’t expecting much of it. But it floored the gathering with its excellence. So the former owner and developer of software companies went to the latest gadget in communications of the day, the facsimile machine, and rifled off a few dozen missives to friends and contacts he thought would be interested in the wine. “Within the space of a week we’d sold about 100 cases of this stuff just by faxing. That completely changed our model. We dropped the restaurants like a stone,” he recalls. Then along came something called the internet and the facsimile was dropped as fast as the restaurants. 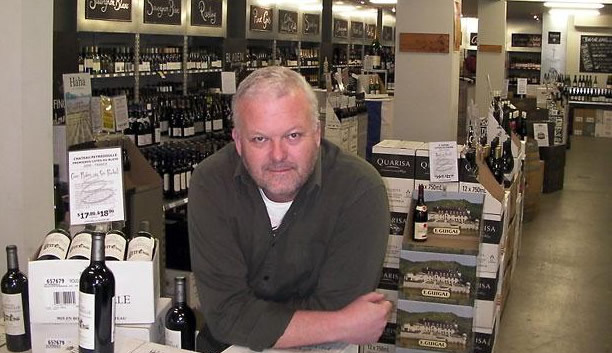 Within about 18 months Advintage was one of the top wine retailers in the country. “I used to get dragged out to all the marketing conferences around the country as the model they wheeled out and said ‘look at this guy, he runs a wine business in Hastings, he uses the internet and he’s making money’,” he says. 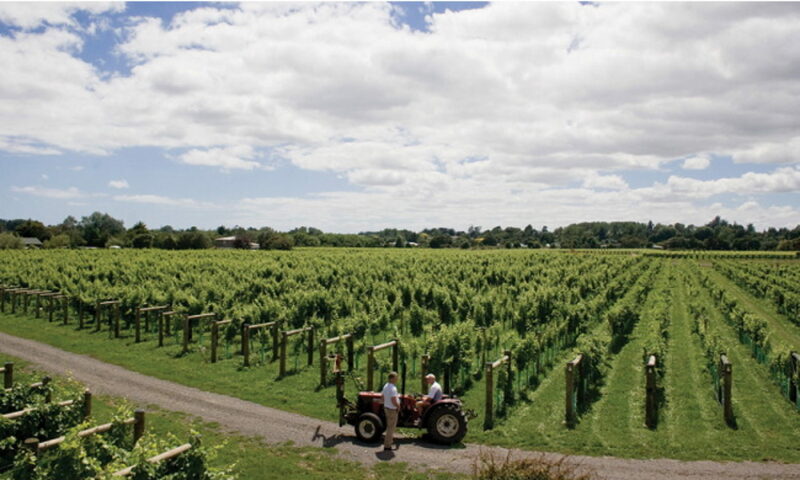 In 2004 the shop moved to its current premises in Havelock North. Where once a big purchase was 15 to 20 cases, today it’s 2000 to 3000 cases. They make their way from all corners of the globe to the shop, where they are often just as quickly dispatched to buyers throughout the country, or put on display in what Mac terms “the Mega Mitre 10 of the wine world”. “We buy more. You pay less. That is exactly what we are about, only we are very choosy about what we stock,” he says. 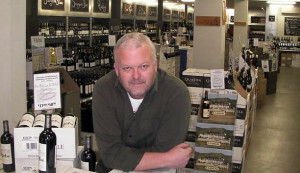 Mac and his staff of seven have regular tastings and not a single of their 700-plus range of wines has not been tried. A mailing list of many thousand – the number is commercially sensitive – gets Mac’s bulletins twice weekly listing the new arrivals and best deals, with a few paragraphs of dry banter. 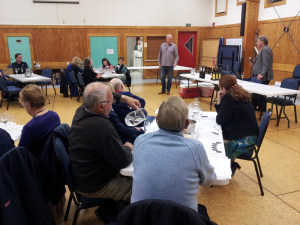 A recent one referred to “some halfwit” who reneged on their order of Te Mara Pinot Noir. “We got the call. And we pounced like a drug hound let loose in a Belarussian training camp . . .” it reads. If it sounds a bit irreverent it’s supposed to. From the start Mac’s goal was to take the “wankiness” out of wine sales. 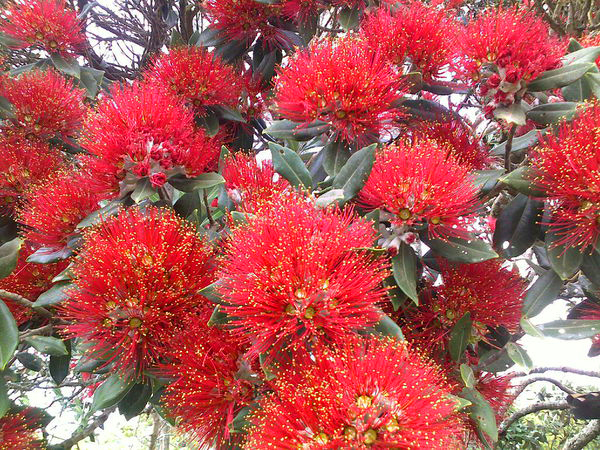 He says customers arrive at the shop and marvel at the selection “in little old Havelock North, population 10,000”. Eighty-five per cent of business is in internet sales so the staff have never met most of their customers, but from his office near the counter Mac frequently spots those arriving and looking for a face they’ve seen on the website. A while back he met a guy in a pub up north. The man said his name (Ian McKenzie) and told Mac he was an online customer. Mac instantly recited his suburb, street and house number. “Internet sales are about instant purchases. It’s such a different world to a winery. Here we know the instant a bottle is sold and how it’s selling. When we’ve bought in a large lot of stock, the whole staff is pacing the shop just waiting to find out how it sells,” he says.